This post was written by NCTE member Frank W. Baker. As a preservice teacher, did you receive any instruction on how to best engage students when using visual media? Did any instructor provide you with visual or media literacy background which would enhance your use of video? Did any instructor use the phrase “critical viewing skills” as an important and relevant strategy? If your answer is “no,” you’re not alone. In contrast, our students are THE video generation. By the time they’ve reached high school, they will have been exposed to thousands of hours of video and film, though that exposure is most probably “passive viewing.” I am fond of saying that they often watch with the thinking part of their brains turned OFF. They just want to be entertained. But entertainment is not the objective of viewing video in the classroom. We want students to be paying attention and watching with purpose. Engaging students in meaningful media literacy and “active viewing” is the goal. Active viewing implies that they watch critically and have been prepared in advance. Through this experience, I became aware that not all teachers know how to prepare their students for what they are about to view; nor do they all recognize the value of introducing vocabulary words and concepts students can expect to hear, or of engaging students in “post-viewing” questions, even though many educational titles provide teacher/view guides with engaging “critical viewing” questions. 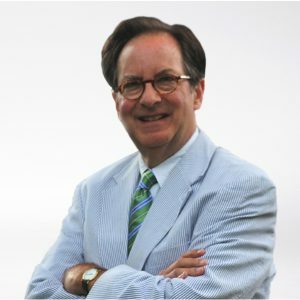 I’m sympathetic to some of the apparent roadblocks to making the extra effort: Teachers may feel they don’t have time to deviate from the lesson; they may not be aware there’s a teacher’s guide; they may feel that their students are already so media savvy that they don’t need to provide any “media literacy” skills. However, when we use video or film in instruction, surely we all want students to have the most meaningful learning experience possible. A simple question or two, before and after the screening, can go a long way toward deepening students’ understanding and comprehension. Several years ago, I authored an online “film study guide” to the classic To Kill a Mockingbird, recognizing that teaching the film doesn’t necessarily mean that a teacher understands the techniques filmmakers have employed. Consider this publicity still from the film. 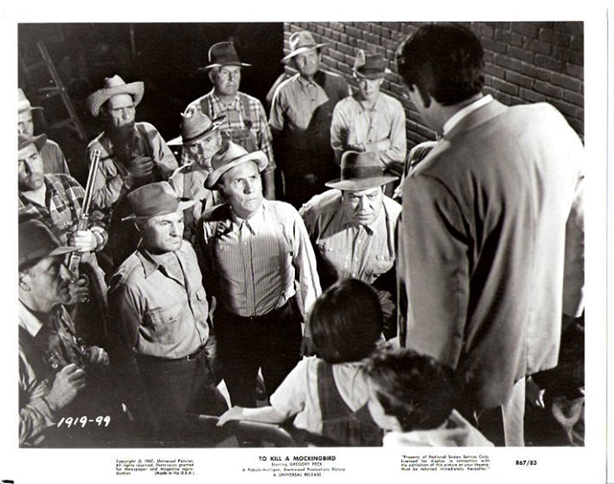 Atticus, in the foreground, is confronted at the jail by a lynch mob, in the background. It’s a tense scene, set up by the sudden arrival of the children. Some in the mob carry guns and they seek justice. The camera is positioned up high, pointing down toward the mob. If you’re savvy about the “language of film,” you, and your students, know that when we point the camera down on a subject, we often take their power away; they become weak. If you were using this scene in the classroom, you could FREEZE the video and ask students to notice the camera shot; tasking them with explaining why the director choose this camera angle. By taking a moment to do just that, you are demonstrating that you recognize the importance of visual literacy as it applies to film. You’re also engaging students in active viewing and helping them appreciate how filmmakers use tools and techniques to tell a story. I recently created an activity (on my web site) in which students compare and contrast a scene from To Kill A Mockingbird by studying three different versions of the same scene: the stage version, the film, and the same scene in the book. Another activity invites them to become the director—deciding the camera shots and angles as well as how to edit the scene. I realize that educators need practice, and need to become comfortable, before diving into teaching film language and techniques. Fortunately there are a variety of resources available, including my website and others recommended below. I invite questions from educators about this topic as well as other ways to effectively engage students with media. The site is divided into categories like cinematography, audio, set design, lighting, etc. Each of the categories contains timely news about the topic; recommended lesson plans, and resources including books and videos.